Welcome to 4 Seasons Outdoors, L.L.C. We provide services that beautify your neighborhood through higher standards of Quality, Service, Professionalism and Value. When you choose 4 Seasons Outdoors you can spend less time working on your lawn and more time enjoying it. At 4 Seasons Outdoors, we proudly stand behind the services we deliver. Whether you are a first time customer or a regular, we hope you''ll agree that we provide the best lawn care and landscape service in your community. We are known for our friendly, caring service, and we are proud to be your local choice for professional lawn maintenance and landscaping needs. 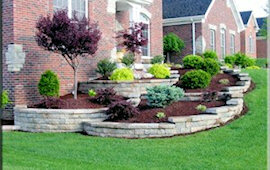 With 4-Seasons Outdoors, you will save time and money while seeing your lawn and landscape reach its true potential. Our sales support includes contact by phone, online, and personal meetings with our field sales staff. Our Operations team includes Field Supervisors,Field Operators, and Quality Control. We are happy to provide customer support by phone, online, and personal meetings with our field service staff. Call (810) 845-3543, (810) 252-0529, or contact us online to set up a free lawn care estimate.